. : Sheila's Nutrition Digest Vol 19: Food Rules :: Ski XCOttawa.ca :: Skiing in Ottawa and Gatineau Park :. Choosing what to eat for good health is confusing for many people. Despite the guidelines and efforts of nutrition experts, health officials, and various health groups, the typical Western diet remains a major contributor to poor health and chronic disease. Nutrition science has uncovered a wealth of clues to linking components of diet to disease, but many questions remain unanswered (although the health claims on packaged foods would lead you to think otherwise!). While most experts study specific nutrients or food components (and food manufacturers are quick to add these substances to their foods) it's important to remember that whole unprocessed foods can deliver a package of nutrients unrivaled by processed foods, even if they don't boast a health claim. I am a big fan of author Michael Pollan. He is not a nutrition expert or scientist, but a journalist with a simple message that urges us to eat “real food” and avoid what he calls “edible food-like substances” (i.e., eat vegetables, fruits, whole grains, fish and meat rather than the highly processed foods that have unfortunately become staples of the typical North American diet). This approach to eating will not only benefit our health, but reduce the impact of our food consumption on the environment. Pollan, a professor of journalism at the University of California at Berkeley, is author of The Omnivore's Dilemma: A Natural History of Four Meals (2006) and In Defense of Food: An Eater's Manifesto (2008). 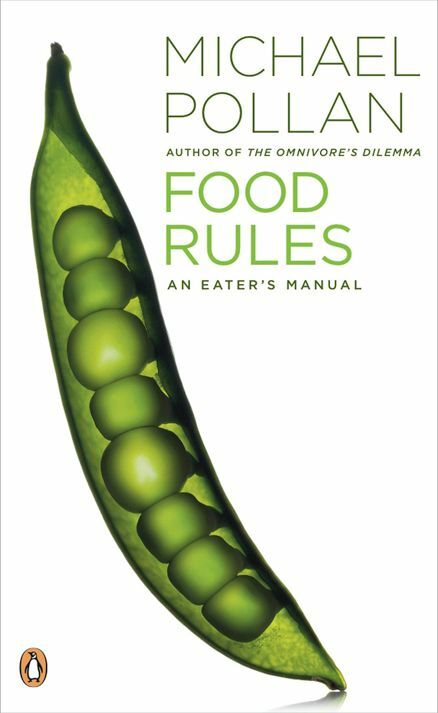 His latest book, Food Rules: An Eater’s Manual, sums up his philosophy in 64 rules, presented in a condensed and easy-to-read format. The central theme throughout Pollan's books is that whole foods are better for us than processed foods. Pollan wrote Food Rules after hearing from medical professionals, doctors, and parents who wanted something that pared down his message for people who might not have time or be willing to read a whole book. The 64 rules are based on his own research, and advice solicited rules from doctors, scientists, chefs, and readers. If you don’t have time to read his first two books, Food Rules is a quick and fun read that is definitely worthwhile (and might convince you to read the first two!). The Rules are divided into three sections that answer the questions What should I eat? What kind of food should I eat? and How should I eat? The general answer to the How should I eat? rules is "not too much," which is excellent advice for most North Americans who consume too many calories and don't exercise much, but athletes should tailor this advice to their training load. Some of the rules are common sense, some quirky, some funny, and some curious. Here are my favourites (from Food Rules, Penguin Books, 2009). 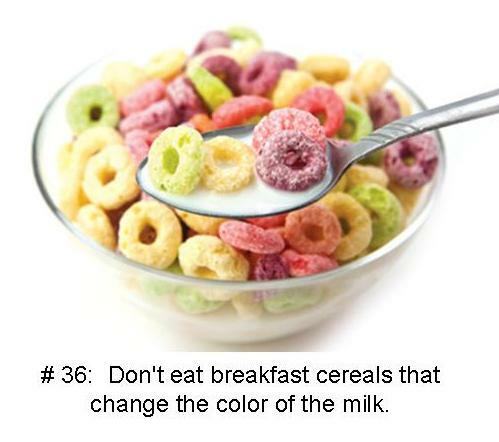 # 13: Eat only foods th at will eventually rot. # 15: Get out of the supermarket whenever you can. # 18: Don’t ingest foods made in places where everyone is required to wear a surgical cap. # 19:If it came from a plant, eat it; if it was made in a plant, don't. # 21:It's not food if it's called by the same name in every language (think Big Mac, Cheetos, or Pringles). # 32: Don't overlook the oily little fishes. # 41: Eat more like the French, Or the Japanese. Or the Italians. Or the Greeks. # 43: Have a glass of wine with dinner. # 47: Eat when you are hungry, not when you are bored. # 57: Don't get your fuel from the same place your car does. # 64: Break the rules once in a while. These brief rules won't give you much of a chance to sample Pollan's brilliant writing (though he does accompany each rule with an explanation), but they are a great introduction to a wonderful eating philosophy. Here's an interview with Michael Pollan by Time Magazine. Gatineau Loppet: Less than 20 days until the 2013 Gatineau Loppet!